Sun and Stars Montessori School, formerly Montessori Family Center (MFC) established in 1981, serves families with preschool, toddler, and Kindergarten children ages two through six years of age. 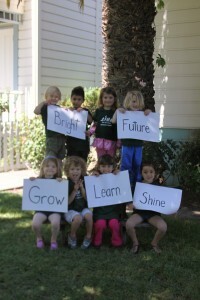 Providing Montessori education for children from Calistoga to Napa, Sun and Stars also currently provides extended care programs for working families of the area. We are licensed to educate and care for 56 students between our two locations.